13' 4" X 75' = 1000 Sq Ft Shipping is included in the retail price! This product is American Made. 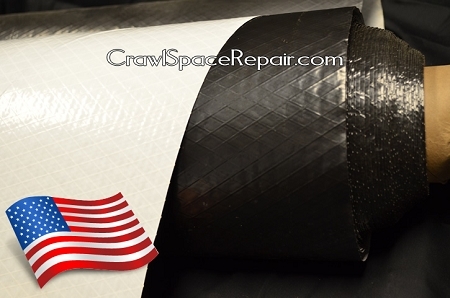 It is a string reinforced polyethylene vapor barrier that is white on one side and black on the other.